The initiative was started on Facebook, but Sameer later decided to make it offline. The first time that writer and poet Sameer Khan wrote his heart out on paper, he was in class five. The writing process was all natural to him — pick up a pencil, a notebook, and simply write down about your thoughts through the day. Maintaining such a journal, thought Sameer, would help him hone his writing skills. And rightly so. A decade and some later, Sameer is running an entire compassion project surrounding his body of work. 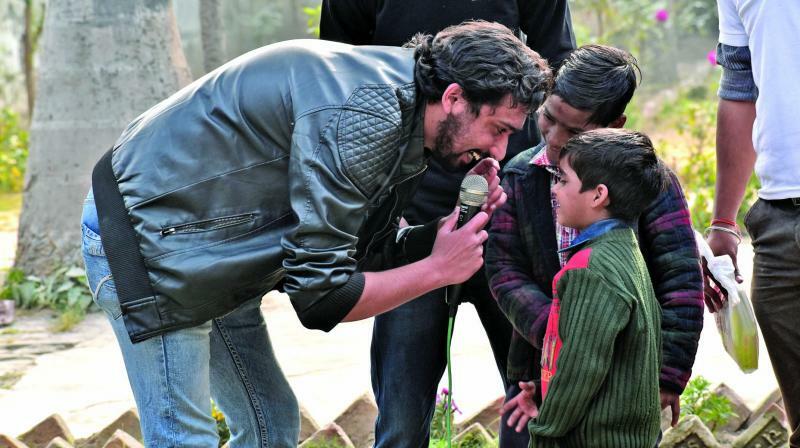 On some days, Sameer visits a school for the blind, and on others, he makes an audience out of an old age home. “It happened suddenly when I ran into a senior citizen from the old age home. Our conversation was about a plethora of subjects from life, love and everything in between. And I was more than intrigued by the number of things life teaches one with time,” recalls Sameer. By now, Sameer wanted to know more about life in an old age home. So, on the promise of meeting soon, they bid adieu. Within a week, Sameer turned up at the old age home. What was meant to be a rendezvous with just one man turned into a lot more. It was then that Sameer started reading out his poems and stories to the residents of the home for old. “I usually don’t even have a plan for my stories,” says Sameer, who builds the story as he goes. “I just take a character, put them in a situation, and weave a story around it,” he explains. Sameer’s body of work isn’t limited to this. 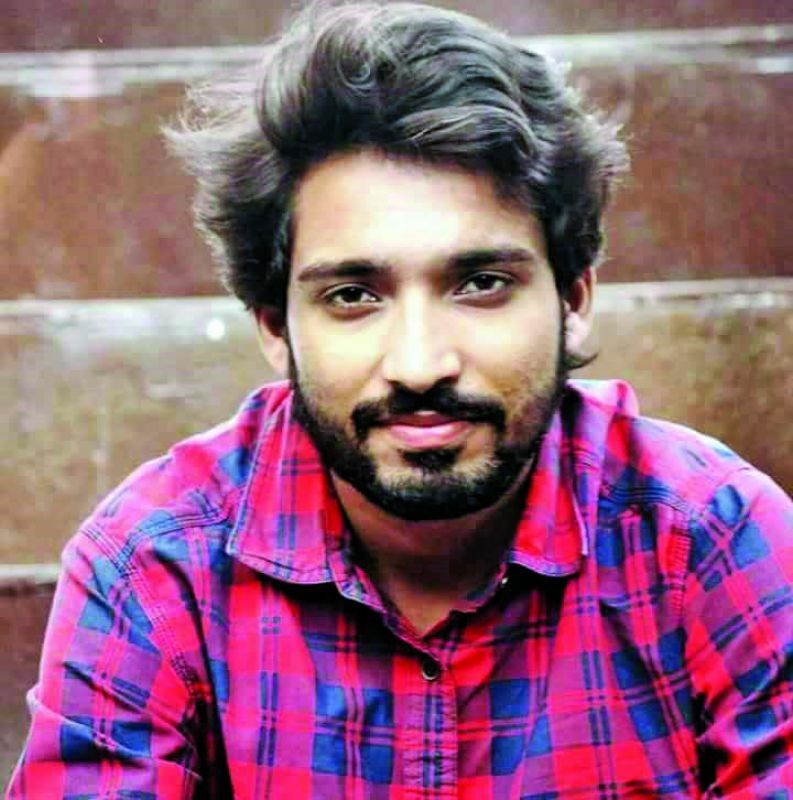 In March last year, he penned down a book titled Eerie Edges dedicated to the plight of people suffering though clinical depression and anxiety. “Sometimes, people have these dark, horrible feelings inside them, which push them on the edge — the dark side. It is an eerie space to be in, and difficult to get out of. I wrote the book with the aim to bring mental health issues such as depression and anxiety to the fore describing the innumerable kinds of pain that the human body and brain goes through,” he says. Perhaps the work that is closest to Sameer is his now-offline project Lore of Rainbows. Dedicated to the love, life and stories of people from the LGBTQ community, through Lore of Rainbows, Sameer shares the stories of people from the community (to an audience comprising members of the community) in the form of poetry. “It is very similar to a slam poetry evening, but the stories that come out in these gatherings are all heartfelt accounts,” he says. The initiative was started on Facebook, but Sameer later decided to make it offline. “It was meant to pose as a platform for people from the community to share their stories. But soon, we started getting negative comments,” he recalls. “In fact, even my sexuality was questioned and my family was also troubled for the same. Finally, we thought of taking it offline, and working for the cause through gatherings and meet-ups,” he says. At the end of the day, Sameer believes he can bring about a change through his poetry. “I am doing charity, but when I am working for such a cause, I am in a completely different world — I like being there and lending a helping hand to people,” he smiles.